The 2019 Rail Tech Conference will be held on the third floor of the DCU Center. All events, including registration, seminars, reception, and dinner will occur there. 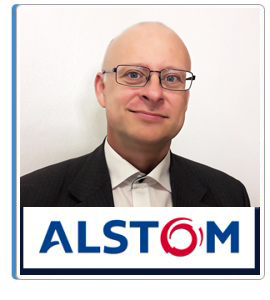 The New England Railroad Club is pleased to welcome Andreas Frixen, Tender Manager Fuel Cell Trains of Alstom Transport, who will be joining us from Germany to present as our guest speaker at this year’s conference. Mr. Frixen’s current project is the development of the Coradia iLint, a hydrogen fuel cell passenger train developed by Alstom. The Coradia iLint is the world’s first passenger train powered by a hydrogen fuel cell, which produces electrical power for traction. This zero-emission train emits low levels of noise, with exhaust being only steam and condensed water. The iLint is special for its combination of different innovative elements: clean energy conversion, flexible energy storage in batteries, and smart management of traction power and available energy. Specifically designed for operation on non-electrified lines, it enables clean, sustainable train operation while ensuring high levels of performance. Andreas Frixen studied Mechanical Engineering and Railway Engineering at the University of Hannover, Germany and has over 20 years of experience in the rail industry. Mr. Frixen is the expert at Alstom for hydrogen refueling stations and hydrogen supply as it pertains to rail vehicles. Since 2002 he has held a variety of positions at Alstom, including Bids Director for Double Deck Trains in Sydney, Australia, Product Director for Single Deck Electrical Multiple Units and Bids Director for Regional Trains in Paris, France, Project Manager of Generic Train Development of Regional Trains for Russia. He was also a Project Manager and Project Engineer and Technical Bid Manager at Linke-Hofman-Busch, Salzgitter, Germany. As part of our ongoing efforts to introduce the next generation to the railroading industry, the New England Railroad Club will be dedicating this conference room to a special, afternoon-long seminar series for college students. Representatives from area railroads will be presenting both individually and as part of panels, highlighting the types of jobs that can be found in the office, at repair facilities, and on the rails. They will focus on the skills and education needed to perform various jobs, hiring practices, growth areas in the industry, and how employees must conform to federally mandated rules and regulations – like drug and alcohol testing. Overview: This seminar will present a brief history of railroading for beginners; what it is, how it started, and how railroads shaped America. The discussion will include overviews of rail technical subjects. A short video presentation will be included in this seminar. Experts from several of the region’s freight railroads and a major consulting company host a detailed seminar focusing on the different career paths that are available in the industry. The seminar will include video and PowerPoint presentations. In this follow-up panel discussion to the Railroad as a Career seminar, the group will expand the focus of the previous seminar using a more informal approach and provide a forum by where participants can participate in the discussion through a question and answer period. Ed Foley is Vice President – East, of Genesee & Wyoming’s Northeast Region railroads. He has worked for Genesee & Wyoming for the past 17 years. Ed served as Vice President – Sales & Marketing for Genesee & Wyoming’s Northeast Region railroads (2016-2018), Vice President – Business Development (2013-2016), General Manager – Operations Canada South (2008-2013), Vice President – Sales & Marketing Canada South (2002-2008) and has held various staff positions in the Sales & Marketing departments at Emons Transportation Group (1995-2002) where Mr. Foley began his railroad career. In Ed’s current position, he has overall responsibility for the marketing and sales functions of G&W’s New England subsidiaries including Waste, Automotive and Aggregate business portfolios. Mr. Foley attended the University of Maine at Orono and is a graduate of the University of Denver where he earned an MBA in Intermodal Transportation Management (2014). Mr. Foley currently serves on the Board of Directors for the American Shortline Railroad Association. James P. Bonner, is the president of New York & Atlantic Railway Company, a rail freight provider with more than 60 employees serving the New York City Metropolitan area utilizing over 270 route miles of Long Island Rail Road-owned tracks running through Queens, Brooklyn and Long Island. New York & Atlantic Railway is part of Anacostia Rail Holdings Company, a Chicago-based transportation development and consulting firm responsible for the operations of several short-line railroads in markets throughout the United States. Mr. Bonner is in his 22nd year of railroad service, having worked in all areas of railroad operation from track laborer to railroad president. He has held engineering, management, marketing and operations positions at a number of railroads across the United States. Mr. Bonner was named president of New York & Atlantic Railway in November 2016. He first joined NYAR as director of sales and marketing in 2013. In 2015, he was promoted to vice president. Previously, he had been general manager for Connecticut Southern Railroad in Hartford, Connecticut. He is a strong advocate for the railroad industry, espousing its opportunity-rich environment for careers and employee growth. Mr. Bonner is always focused on safety, company growth, and educating the public about the many benefits of rail freight. His ongoing goal is for New York & Atlantic Railway to remain an injury-free work environment, retain knowledgeable and skilled staff, and maximize the number of NYA clients and commodities. He holds a degree in Business / Computer Science from Northwest Kansas Technical College. Cynthia Sullivan Scarano has over 24 years of experience in Freight Railroad Service. She began working for Guilford Rail’s Law Department part time while attending Law School. In 1994, she began full time as an Administrative Assistant to the Chief Executive Officer. In 1996, she started work with the Engineering Department and began developing the Environmental Department for the railroad. In 2002 she became the Director of Employee Claims within the legal department. In 2004, she became Vice President of Human Resources. Her position today as Executive Vice President of Pan Am Railways, occurred in 2011. Cyndi jokes that she never applied for any of her positions that they were “just offered” to her. Pan Am Railways has approximately 800 employees, 14 unions, and 2000 miles of track throughout New England, except Rhode Island, plus New York. Cyndi enjoys working with customers, legislators, and agencies on issues concerning the railroad. She is currently assisting with the negotiation of new union contracts. Cyndi is involved in numerous professional organizations, including past president of the New England Railroad Club. She has coached girls’ softball for 10 years and is an active Alumni at Academy of Notre Dame. She has two daughters, age 18 and 22 both of which she is very proud of. Brian Moroney is a Senior Track Engineer who specializes in solving railroad, transportation, and structural engineering problems. Over the last two decades, he has contributed his expertise on projects that have encompassed both passenger (high-speed, commuter, and rapid transit) and freight rail, as well as serving at the federal regulatory level as a Track Safety Specialist. His Master’s Thesis was the first comprehensive document to be published involving the Study of Track Transition Points and Problems. Prior to joining Jacobs, Mr. Moroney worked at the Federal Railroad Administration as the Track Safety Specialist for FRA Region 1; at Amtrak as the Assistant Division Engineer-Track in charge of all track maintenance for the Northeast Corridor between Kingston, RI and Boston, MA; at the Massachusetts Bay Transportation Authority as Senior Project Manager responsible for all transit track maintenance; and at CSX as an Assistant Roadmaster and Standards Engineer. Overview: User-friendly, Internet-of Things (IoT) advanced technology provides railroads with labor and time-savings solutions. Comprehensive, single-source remote monitoring solutions increase overall safety, reliability, and operational efficiency. The seminar will focus specifically in the areas of Event Recorders, Telematics, Advanced Analytics, Video Systems/Video Analytics, and Telematics – develop long-term strategies for safety, efficiency and reliability. About Mike Klabunde: Mike Klabunde has over 25 years in the locomotive industry. Previously, he worked at EMD and Progress Rail in a variety of roles including engineering management, commercial management, locomotive systems engineering, marketing, account management, advanced technology and International sales. Mike has a very deep understanding of locomotives overall – from technical details to commercial arrangements. He is particularly knowledgeable in the area of locomotive repowers and overhauls, locomotive emissions and low-emission locomotives, traction systems, control systems, and advanced technology. Mike has a Masters and Bachelor’s degree in electrical engineering from the University of Wisconsin, and an MBA from the University of Minnesota. Many Americans don’t realize that freight railroads pay their own way with little help from taxpayers — to the tune of $25 billion annually, on average. These investments make American industry more competitive by maintaining and enhancing the rail network that connects companies and communities to markets all over the world. Rail policy decisions, both at the national and local levels, have real impacts back home, from local jobs and economic development to air quality and road congestion. Nate Kaplan joins us to highlight some of the latest happenings in railroad policy, international trade, NAFTA, weight restrictions on interstate highways, PTC, and how a regulation issue to drastically change routes and rates will be voted on halfway through 2019. About Nate Kaplan: Nate Kaplan has been an active player on the political scene from coast to coast, with a background in local, state and federal elections. He served as a legislative aide in the Massachusetts State Senate before working in Boston’s Trial Court system. At the age of 24, Kaplan ran for the office of state representative in his hometown in Central Massachusetts and after a landslide victory, he became the youngest candidate in that district’s history to receive a major party nomination. Kaplan’s passion for politics continued to thrive after he relocated to Los Angeles. He founded a 501c3 nonprofit, SeePolitical, to educate the electorate by producing and distributing unbiased animations to heighten civic awareness and explain the electoral process. Kaplan received a master’s degree in public policy at the University of Southern California while working as a communications director, legislative director, and district director for the Los Angeles City Council, where he worked on issues of transportation, social policy, economic development, land use, public safety, sustainable cities, affordable housing, and policies to improve the quality of life for communities in California. Overview: Mr. Richard Jankovich will be joining us to talk about the lessons learned in launching the new service from initial planning up to present day operations. In June of 2018 the Connecticut Department of Transportation launched new intercity rail service on Amtrak’s New Haven to Springfield Line. This new service is branded CTrail, and runs between New Haven, Connecticut, and Springfield, Massachusetts. CTrail provides sixteen daily round trips between New Haven and Hartford, with eight trains continuing to Springfield. The service launched to strong ridership and those numbers have continued to grow. About Richard T. Jankovich: Richard joined the CTDOT twenty-five years ago. His first promotion was to Transportation Supervising Engineer. Other numerous promotions followed and Richard was ultimately named Assistant Rail Administrator for Operations within the Office of Rail in April of 2011. In this position, he manages passenger & freight rail, operations, maintenance-of-way, maintenance-of-equipment, rail property, rail station maintenance and rail safety & security for CTDOT. Richard was instrumental in launching the Hartford Line CTrail service. This project required extensive coordination with the Federal Railroad Administration, Federal Transit Administration, Amtrak, freight operators, municipalities, other state agencies along with consultants & contractors. Richard is a member of Northeast Association of State Transportation Officials, Standing Committee on Rail Transportation. He is also a member of States for Passenger Rail Coalition, State –Amtrak Intercity Passenger Rail Committee and represents CT on the AASHTO Railroad Safety Advisory Committee. Richard earned a Bachelor of Science in Civil Engineering from the University of New Haven and subsequently a Master of Science in Environmental Science from the University of New Haven. The railroads and state DOT’s have longstanding partnerships – working together to provide safe and effective transportation services to move both people and goods. This year the panel will focus on how technology and innovation will enable the railroads to meet the mobility demands of the region in a cost effective and efficient manner. 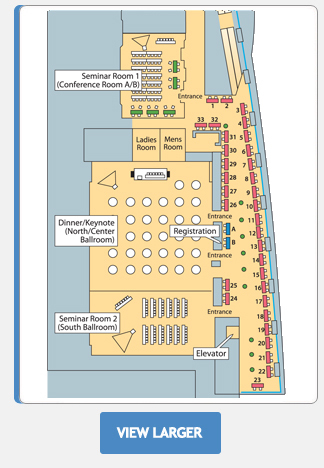 The hosted networking reception will be held in the prefunction area/exhibitor pavilion from 5:00pm to 6:30pm. We welcome you to join us for refreshments and hot and cold hors d’ouevres brought to us through the sponsorship of exhibitors and other members of the Club. The reception has traditionally been the event where the membership of the club gathers to meet each other, catch up with acquaintances, and discuss the goings-on in the New England railroad scene.